I am thrilled to give you, dear readers and faithful followers, advance notice of a wonderful event to come on From My Carolina Home beginning on July 14th and lasting 12 days to the 25th. I’ll be taking you on a 12 Days of Christmas tour to get started ahead of time with ideas and tutorials for handmade gifts, table toppers, recipes, tablescapes, mini quilts, cards, crafts, wool applique, and even some ideas for the guys in your life. Some of the posts will link to projects I have published in previous Christmas seasons you may not have seen. Most will have new ideas. It will be 12 days of fun and inspiration to help you get excited to begin making wonderful gifts and decor for your home, family and friends while we all have lots of time to get projects done before December. Plus I will be joining in a blog hop and having giveaways too! Ready to get a jump start on your projects for the holidays? Now for the preview of what is to come over the those 12 days. 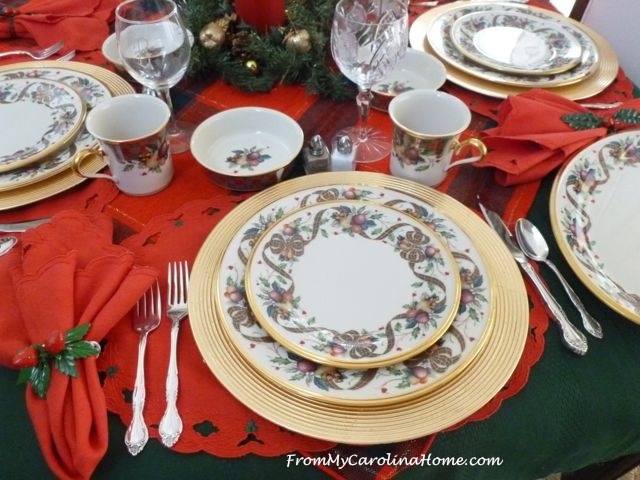 I will have a giveaway or a freebie EVERY DAY at From My Carolina Home! Yes, something every day!! I have contacted a number of my favorite companies for sponsorships with giveaway items and other goodies, and I am delighted to share this wonderful line up of companies offering giveaways you could win! More details for the specific giveaway from each sponsor will be on the individual post. Most will ship internationally, so anyone can win! 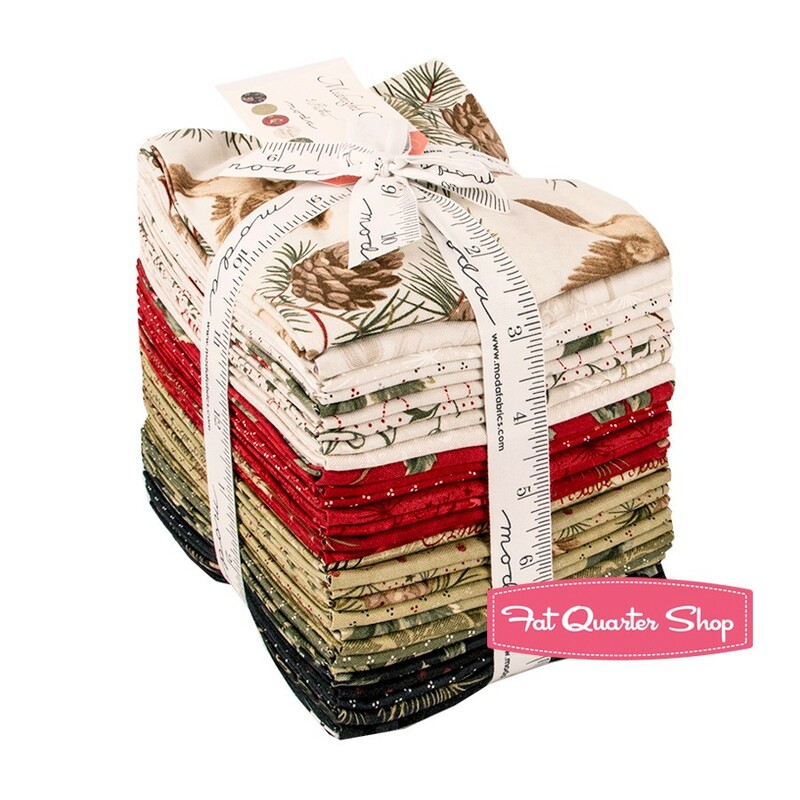 The Fat Quarter Shop, in conjunction with our Christmas Theme, will ship a Fat Quarter Bundle worth $97 to a lucky winner in the Midnight Clear fabric line. Gorgeous fabric, isn’t it!! And FQS does ship internationally so anyone can win! 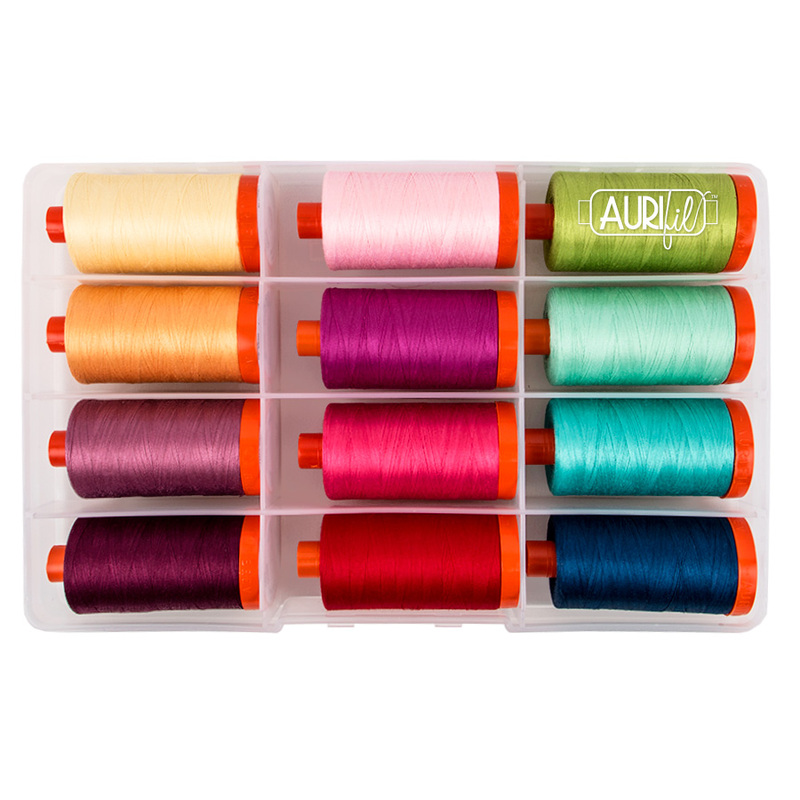 Aurifil Threads, is giving away a set of 12 V&Co Simply Color threads! Connecting Threads is offering one of their Mini Quilt Table Stands with FOUR (count ’em!!) Four interchangeable headers of Scroll, Evergreen, Stars, and Holly Leaves, along with a book and a fabric stack. Over $100 Value!! And they will ship to USA, Canada, Australia, or the UK. 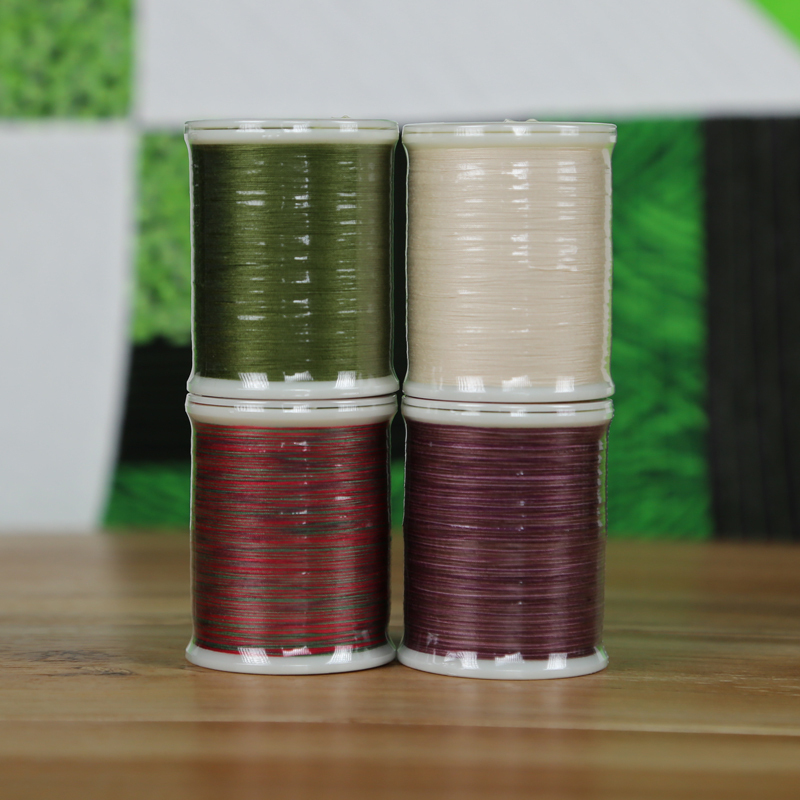 Superior Threads will award a set of four King Tut Threads (excellent for quilting) and a pack of Superior Needles to one lucky winner! 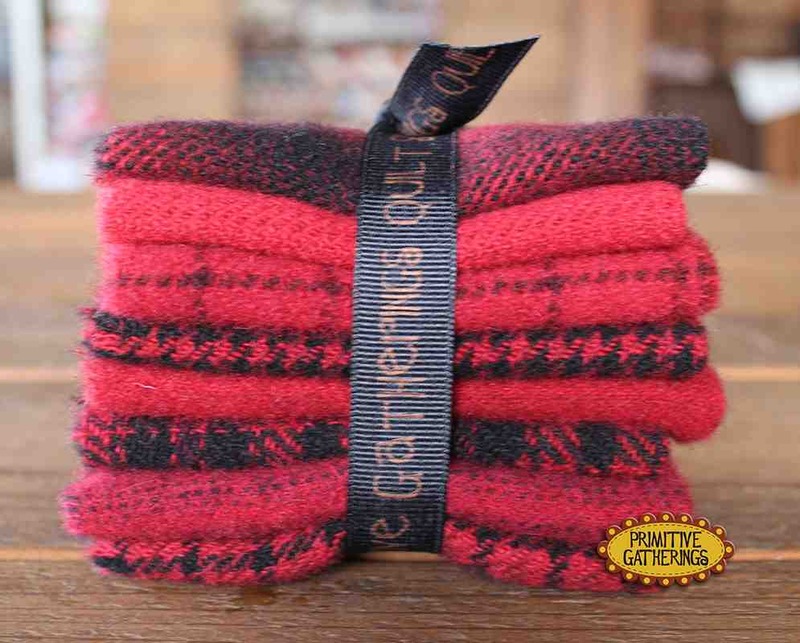 Primitive Gatherings will be awarding a wool bundle in Christmas reds! My Christmas Cards post will have a great giveaway from my favorite stamping supplier, Stampin’ UP!! And finally, I am providing more prizes and downloads to have something for every day to help you create the holiday of your dreams. And yes, most of the contests will be open to international entries! All drawings open on the day of the post for each individual giveaway. All entries close on July 24th at noon, winners will be notified by email, and announced on the blog July 25th. Just so you know, these are not affiliate links, I do not receive any compensation from any of the sponsors of my Christmas in July event. I only contacted companies that I personally enjoy doing business with, and products I like to use. I’ll be a stop on the first day of a blog hop too, coordinated by Sarah Craig who blogs at Confessions of a Fabric Addict. 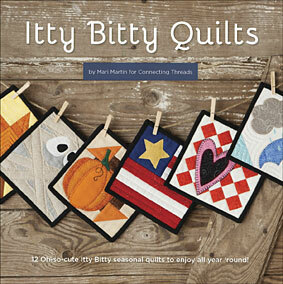 She is doing a quilt along over the 12 day hop so you can take just one hour a day to finish a flimsy of her design. She’ll have links to 25 bloggers with more Christmas ideas and tutorials! Share this on all your social media sites, and tell your friends to follow my blog to see all the fun and ideas, and have many chances to win some fun prizes! It begins next Thursday July 14th! Please leave a comment, are you excited to get some ideas for the holidays? OHHHH….excited for Christmas in July! 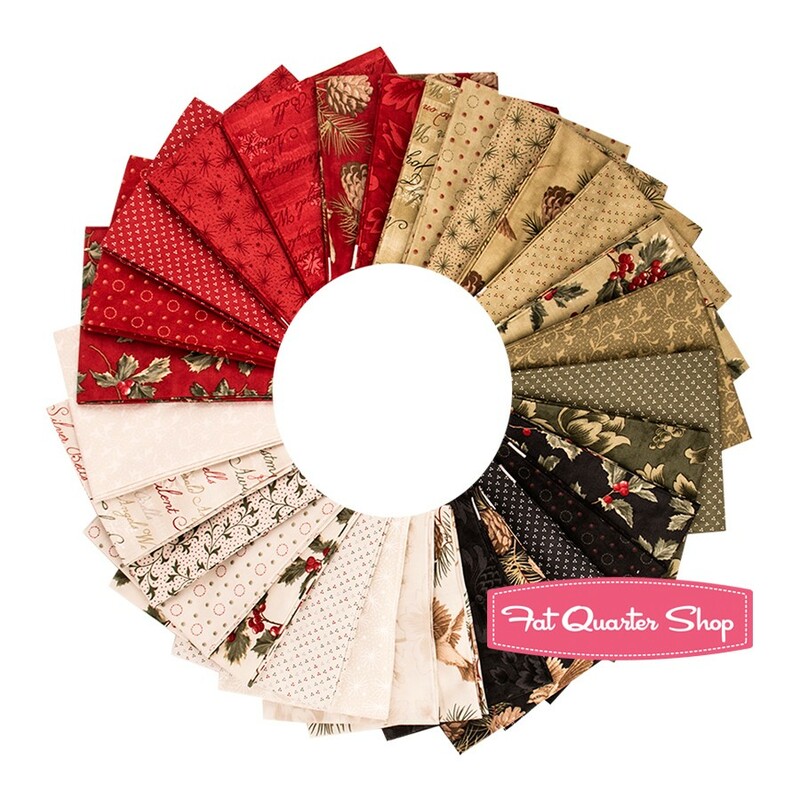 My newest quilt bee – The Queen Bees – will be doing a Christmas in July project and we are “swapping” holiday themed fat quarters. Looking for some great ideas on this journey! Cross posted on my blog and on Facebook. Hope you get some extra traffic. By the way….great prizes. I just put it on my calendar…don’t want to miss a day? Thanks so much for doing this….love have new ideas for Christmas. Great giveways, Carole! I always enjoy your ideas and appreciate you taking the time to share them through your blog. Sounds like fun. My stitching friends and I will be working on some Christmas ufo’s so this should be great inspiration for us. Good Morning Carole! 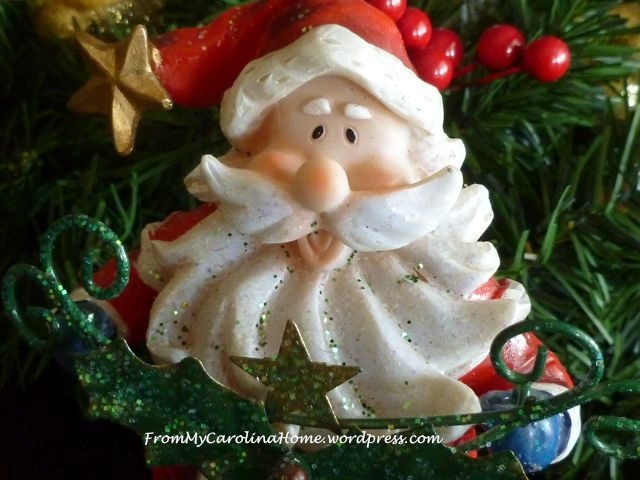 Your Christmas in July event is going to be fun and exciting, as everything on your blog is! You can count me in! I have all of the Christmas fabrics all in a special tote for they are ready to be turned into all sorts of magnificent Christmas projects. We were off the internet all day yesterday, but truly will try and post a post today. Have a fantastic creative day! Your give-aways are cause for unadult-like drooling!! Sounds like fun. Can’t wait to see what you have planned. Sounds like a whole lot of fun. Visiting your lovely place each time during “Christmas in July” will be wonderful! It looks like a blast. I would love to join, but will be on vacation the whole time. May have to do some after the hop is over. I love Christmas in July Carole! What fun! I’m ready for the blog hop! Let the fun begin. Oh what fun. I am looking forward to following you holiday posts. Maybe it will get me started on my Christmas projects! I’ll have to follow along with your projects and giveaways. oh what fun! Happy T day Carole! Hello from T Stands for Tuesday. What an exciting array of activities you have planned. Wow! Sounds like so much fun, and I can’t wait to see everything you have planned! Welcome to T Stands For Tuesday. So glad you joined us. Since I love to sew, I’m quite interested in the sewing aspect, but I don’t own a cutting tool, so I tear every piece of fabric. This sounds like an amazing and wonderful giveaway, so I will definitely be following along. Please be aware my e-mail often bounces back or spits out spam, so I don’t use it. Now I only take comments on my blog. Enjoy all! Happy T-Day, nice to meet you! Sounds like a lot of fun Carole! Sounds like Christmas fun really is starting early. 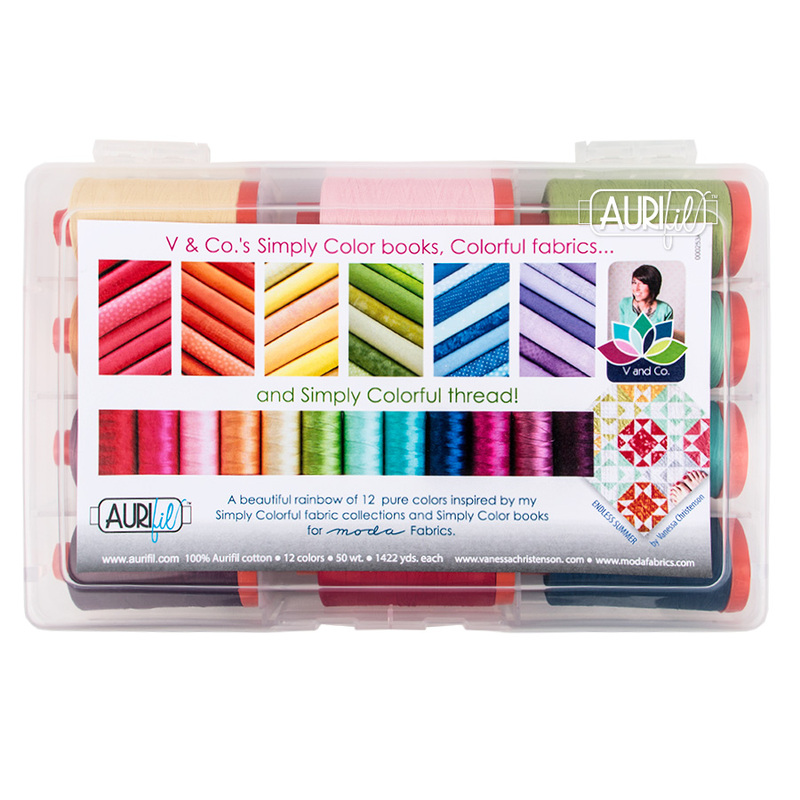 I am so eager to do Christmas sewing and need some new inspiration! Thanks for the motivation! I’m ready! I have almost finished a pillow and am 1/3 of the way with a quilt-both Christmas gifts. This sounds like fun! I was just thinking about posting some of my Christmas items in my etsy shop for Christmas in July. Happy T day….a day late! I don’t quilt but I do use fabric in various creative ways. I always promise to get a midsummer jump on Christmas presents and decorations but usually don’t get going until later in the year. Maybe your posts will give me the nudge I need. I’ll list your site in my sidebar so my friends can join in as well. I see Elizabeth (Altered Book Lover) is already here. I’m excited about doing some Christmas projects sooner instead of later. I got my sewing machine all tuned up and I’m ready to go!